UPDATE: On Sunday, July 22, three (3) bodies were recovered and were declared deceased on scene. Proceeds from this fundraiser will also go to the families of the deceased to aid with any costs in order to help put their loved ones to rest. If you are a friend or family member of one of the deceased people, please contact us so that we can arrange giving you proceeds from this fundraiser to ease the burden of the costs of a funeral. On Friday, July 20, San Marcos apartment complex Iconic Village burned nearly to the ground. 200 residents were displaced, six (6) were injured, and five (5) people are still missing. Most residents lost all of their possessions completely. All money raised will go directly to the victims of the fire so that they may replace their belongings and get back on their feet after the tragedy. Send us a message if you are not able to donate money, but have items to donate. We are needing toiletries (such as soap, shampoo, menstrual hygiene items), clothes (including underwear, socks), school supplies, gift cards, pet food and supplies, and other necessities. 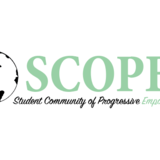 You may receive updates from SCOPE at Texas State, the sponsor of this fundraiser. You may receive updates from SCOPE at Texas State, the creator of this fundraiser.